Hi! 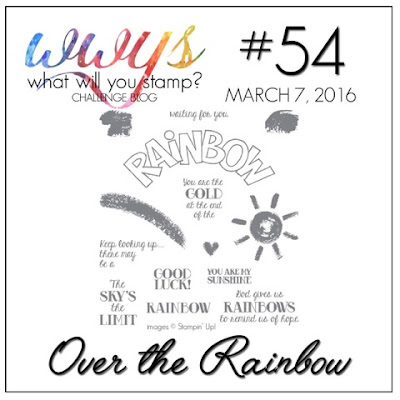 It's Monday and that means it's time to reveal another What Will You Stamp challenge! Drum roll, please! This week's challenge is Over the Rainbow! Here's my card... let me tell you that it ended up being WAY different from my original idea. 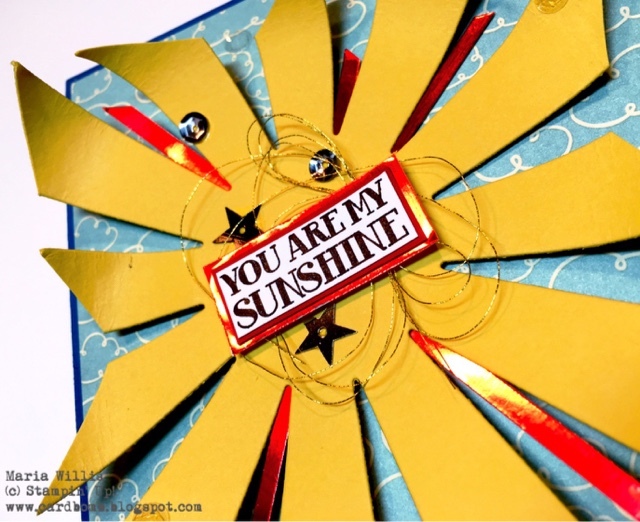 I couldn't help but combine the Starburst framelit with this happy sentiment and the cloud DSP. They just go together like peanut butter and jelly. 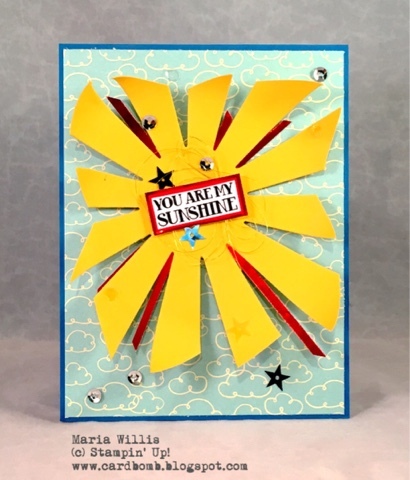 I added some red foil behind the yellow sunburst and put some metallic gold thread and sequins on the sunburst to make it glitter. I used my bone folder to curl my sun rays... how in the world I will mail this card I have no idea! I suppose I'll have to figure something out! I only ended up using one sentiment from Over the Rainbow for my card today but take a look at how many awesome sentiments come with this set. It also comes with a few stamps that are great for abstract stamping. If you have this stamp set I sure hope you will join us this week over at What Will You Stamp! If not, be sure to stop by to check out what the rest of the design team has made for you this week. Something fun and different is that I'm actually playing along in another challenge this week! 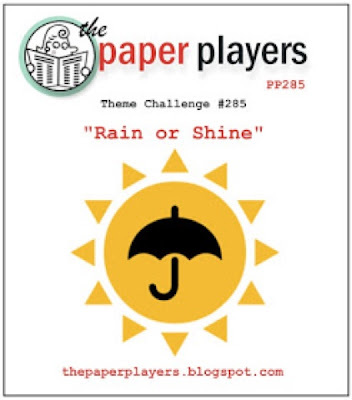 The theme this week over at Paper Players (PP285) is Rain or Shine and I think my card fits the bill. Hope they'll like it! Have a sunshiny day and thank you for stopping by! Don't have everything you need? Never fear! 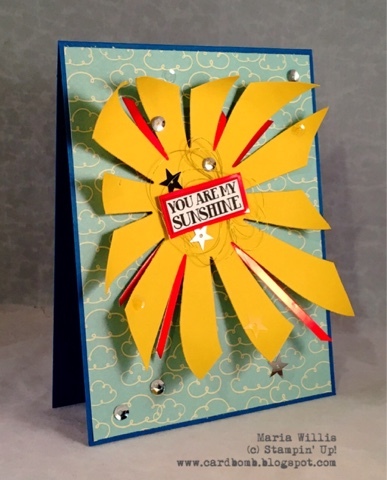 Your card is perfect for this week's challenge - I love the shape and sense of movement with the curved rays and the red foil elements and sprinkle of sequins look great. Thanks for joining us over at The Paper Players this week! Look Who'sTurning 2! for CYCI#111 AGAIN!